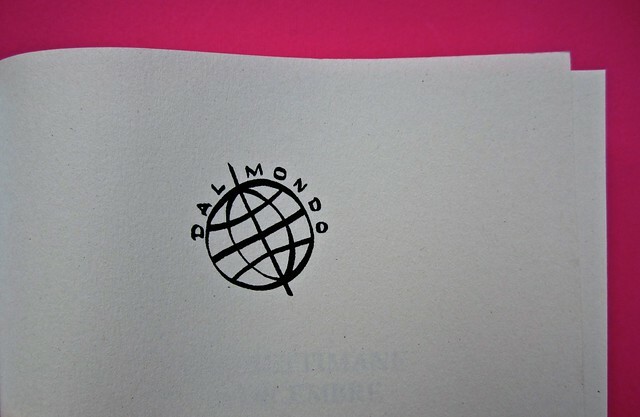 “[…] Born a long time ago, in another country, Schulman has traveled enough to have vomited on four continents, including once onto a Masai tribesman’s feet. He, unfortunately, was barefoot. 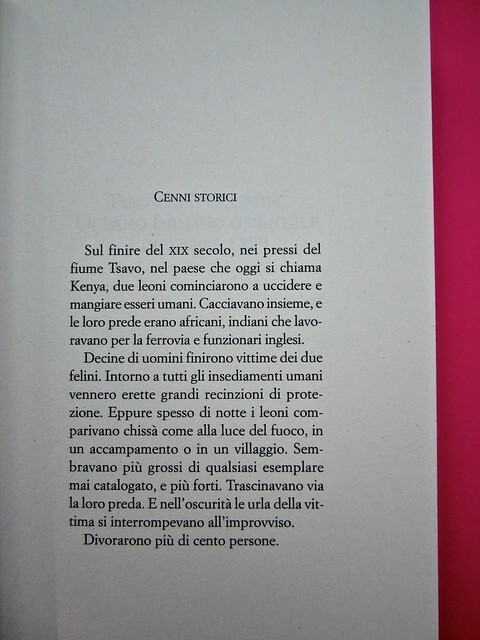 […]”, così comincia la sezione “bio” del sito dell’autrice dedicato interamente a Three Weeks in December, uscito negli Stati Uniti per la Europa editions, la sigla americana delle edizioni e/o. 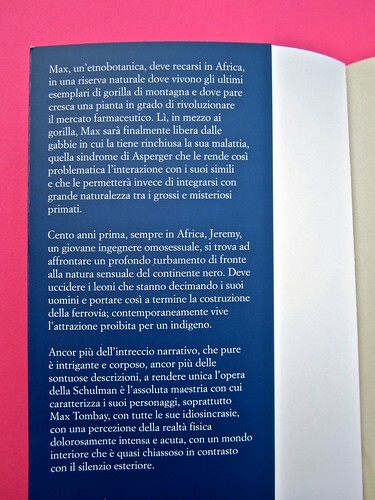 “[…] I protagonisti sono naturalmente diversi ma uniti, oltre che dall’identico percorso compiuto, da una forte attrazione nei confronti del Continente Nero, della sua natura selvaggia e della vita degli indigeni. Ambedue, inoltre, sono in qualche modo ‘diversi’. Jeremy, omosessuale, è dotato di una spiccata sensibilità e si sente inadeguato alle aspettative dei suoi dipendenti che, immagina, lo vogliano audace e pronto a difenderli dalle insidie di quelle zone, soprattutto dalle pericolose aggressioni dei famelici leoni che si aggirano di notte nell’accampamento degli operai. 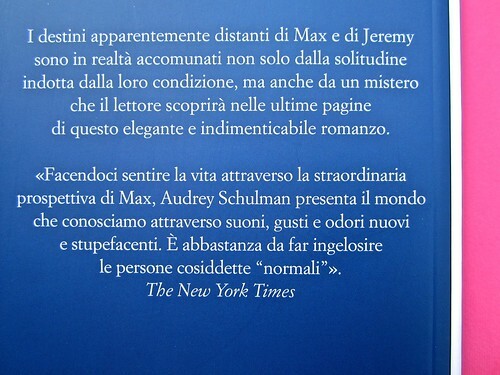 Max, invece, è affetta da una rara forma della sindrome di Asperger, che le rende difficile relazionarsi con gli altri e la porta a comportamenti anomali. Veste sempre e solo di grigio “perché era il colore più discreto. Una specie di foschia, come nebbia” e predilige cibi monocromatici: “Max mise in valigia il riso e la farina d’avena. Sul posto avrebbe trovato delle banane. Il cibo chiaro la calmava”. […]”. Ma in Italia sin’ora se n’è parlato poco. “[…] In 1899 an American from Maine travels to the grasslands of British East Africa to oversee the construction of a railroad. He’s aloof, determined, and secretly gay. His name is Jeremy. In 2000 an American from Maine travels to the jungles of Rwanda to locate a rare plant with extraordinary medicinal properties. She’s aloof, determined, and she has Asperger’s. Her name is Max. How these two stories resonate, diverge, and dovetail is the subject of Audrey Schulman’s fourth novel, Three Weeks in December. “[…] There seems to be a tragedy ahead for every wild thing that’s confronted with our kind. 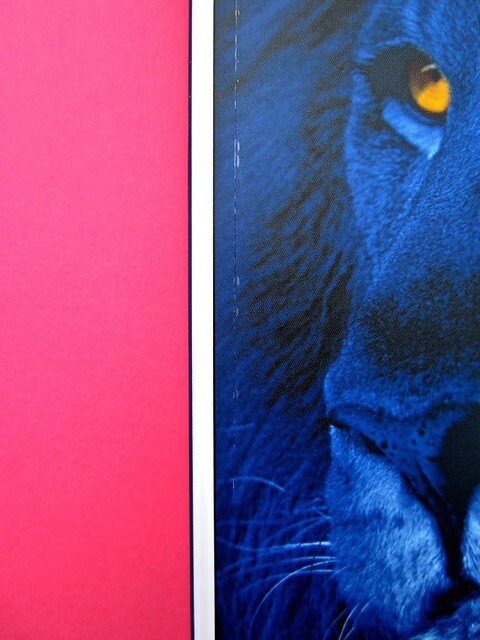 Jeremy will have to face down his lions. But it seems that they have become stand-ins for his own repressed feelings. Max finds herself with a family where she belongs at last. Even if there’s a price to be paid for it. Social misfits and terrified animals. Realistic story telling that seems more fantastic than any sci fi. It’s an illusion that reality is normative, conventional. Convention and reality are not the same thing. Reality is wild, not tame. You’ll tear up if you don’t watch yourself, both for the animals and for the people. 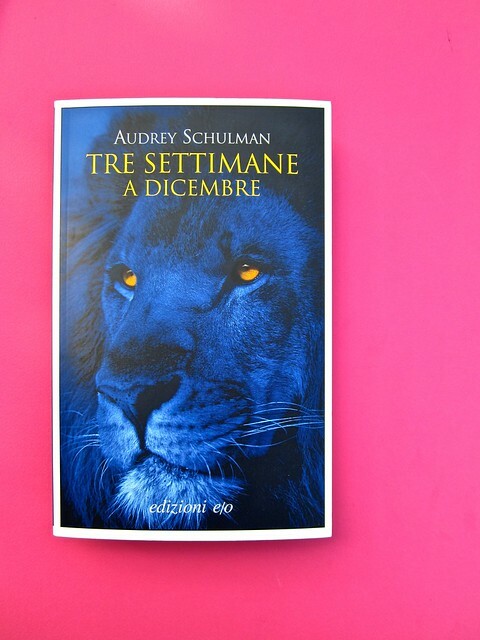 Three Weeks in December by Audrey Schulman will be available in Feb 2012 from the very distinguished and irreplaceable Europa Editions. […]”.